Paraphrasing a classic quote – “With great power comes the need for great control” – the engineers at Ford’s Special Vehicles Team have stepped up to the plate to manage the massive output of the 2013 Shelby GT500. Whether a driver is a track-day veteran or getting his first ultra-high-performance sports car, the new launch control system on the 2013 Ford Shelby GT500 will help ensure he gets smooth, consistent and fast starts every time. Uncontrolled wheel spin is generally undesirable, whether commuting to work or racing away from the Christmas tree on a Friday night at the drag strip. Both safety and performance suffer when the wheels can’t get enough grip on the road. However, properly regulated, some wheel slip can be your friend. With launch control enabled, the driver just has to press the accelerator pedal to the floor and then smoothly and quickly release the clutch pedal just as he normally would when executing a clean start. The difference is that the electronics will automatically hold the engine steady at the desired speed and manage the rear brakes to allow the optimum amount of wheel slip for maximum traction. Shelby GT500 drivers can enable launch control in two ways – either through Track Apps™ on the 4.2-inch LCD in the instrument cluster or simply by tapping a switch on the left side of the instrument panel. When using the Track Apps screen, drivers can also adjust the desired engine speed for the launch in 100 rpm increments from 3,000 to 4,500 rpm. When first getting accustomed to launch control or if the pavement is cooler, a lower speed may be more appropriate. Switching to racing tires or running in an autocross event on a warm Saturday morning may call for a launch speed closer to the upper end of the range. Once the desired engine speed has been set, launch control can be toggled on or off by tapping the instrument panel switch – more convenient than the intricate multistep process required on many other vehicles. After the launch control has been enabled or disabled, it retains that mode even after the engine has been switched off and restarted, something drag racers frequently have to do as they slowly make their way through the lines to the next quarter-mile pass. 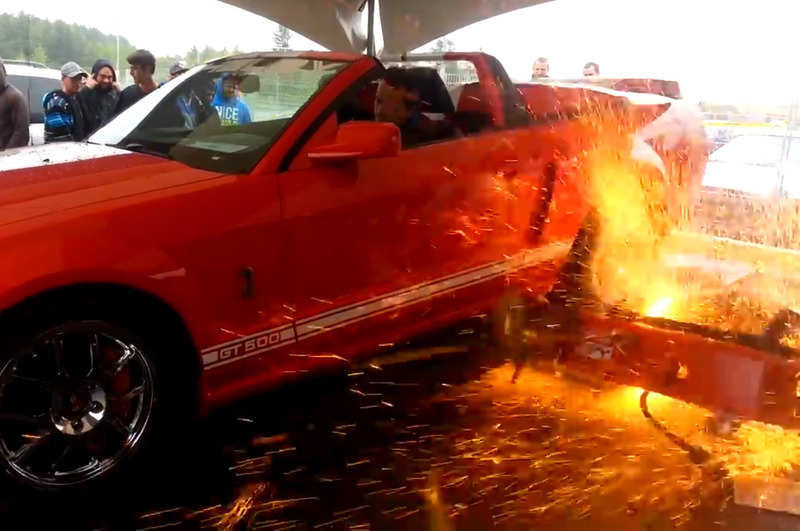 Veteran drag racers will find the Shelby GT500 also gives them extra flexibility. Switching off the traction control while the launch control is on produces an rpm-only mode that engine calibration engineer Tom Siebyla has tuned to keep the engine speed rock-steady with the electronic throttle and ignition without scrubbing off any speed with the brakes. Autocrossers or track-day racers can also mix and match the normal, sport and off modes of the stability control with the launch control to achieve the degree of sliding or control that best suits the conditions or their personal driving style. For those times when there isn’t enough grip to use launch control effectively, such as dust or moisture on the pavement, Ford electronic brake control development engineer Dan Dunn has built smarts into the launch control that enable it to automatically switch off and revert to traction control. Launch control won’t do the driving, but it is a tool to help drivers extract consistent high performance from the most powerful production Mustang ever. 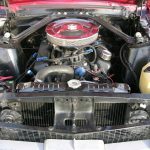 This entry was written by by MustangsDaily (Mustangs Daily) and posted here on Tuesday, May 15th, 2012 at 8:26 pm and is filed under 2013 shelby gt500, 2013 shelby gt500 launch control, GT500, launch control, News, shelby, shelby gt500, shelby gt500 launch control. This article was not written by us, rather gathered using RSS feeds listed here. We take no credit for this article. You can leave a response, or trackback from your own site.